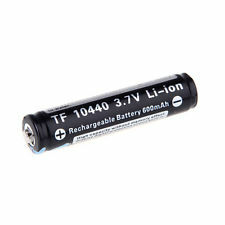 BP-10440 : 3.7volt 600mAh rechargeable AAA Li-ION battery. These have built-in PCB protection. Size: 1.8" long x 0.4" diameter.